We are honored by the support that we received from the community at large. Fabrics - quilting cotton, garment fabrics, drapery & upholstery types of fabrics. We ask that fabric be clean and absent of any pet dander or moisture. We do not require you to pre-wash your fabrics. Quantities can be less than a yard but, we prefer not to have small scraps. Interfacings are used in our garment programs. We ask that the interfacing be clean & if fusible, that the glue is still viable. Tools of all kinds new or used; scissors, rotary cutters & blades, rulers, mats, seam rippers, marking pencils, papers, chalk, etc. Sewing Machines of all kind new or used are accepted. 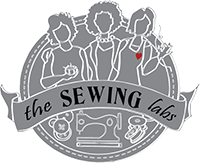 TSL requires sewing machines to be in working order, have the power cord & a foot pedal, and possibly accessories. 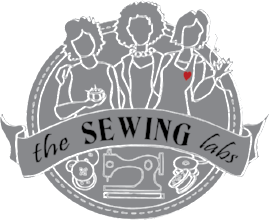 TSL DOES NOT take sewing machines that are broken or non-working or missing the power cords or foot pedals. The sewing machines are checked for proper function and are gifted to our students as they go thru our programs. Also, watch for current needs on our "Current Needs" page and tags for Facebook & Instagram reminders. Donation can be dropped by appointment, Monday thru Friday, 10-4. We are so grateful for your financial gifts, both large and small. Your gifts are used to provide programming and job skills training as we bring the sewing arts to a whole new generation. Your gift will support the general fund or you can choose which programs to support. If you are interested in full program sponsorships or business sponsorships, please call our Executive Director, Lonnie Vanderslice or email us @ thesewinglabs@gmail.com for further information. You enrich the lives of young and old with your support. Thank you in advance for your generosity that allows us to enrich the lives of so many who would otherwise never have the opportunity to learn these life-skills or unleash their creative spirit.